Tomas Venclova was born in 1937 in Klaipeda, Lithuania. After graduating from Vilnius University, he travelled in the Eastern Bloc, where he met and translated Anna Akhmatova and Boris Pasternak. Venclova took part in the Lithuanian and Soviet dissident movements and was one of the five founding members of the Lithuanian Helsinki Group. His activities led to a ban on publishing, exile and the stripping of his Soviet citizenship in 1977. Since 1985 Venclova has taught Slavic languages and literature at Yale University. He has been the recipient of numerous prizes including the Vilenica 1990 International Literary Prize, the Lithuanian National Prize in 2000, the 2002 Prize of Two Nations, which he received jointly with Czeslaw Milosz, the 2005 Jotvingiai Prize, and the New Culture of New Europe Prize, 2005. His works include volumes of poetry, essays, literary biography, conversations and works on Vilnius. 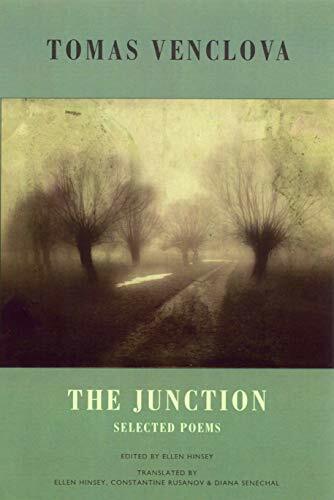 His poetry has been translated into English in Winter Dialogue (Northwestern University Press, 1997) and The Junction: Selected Poems (Bloodaxe Books, 2008).